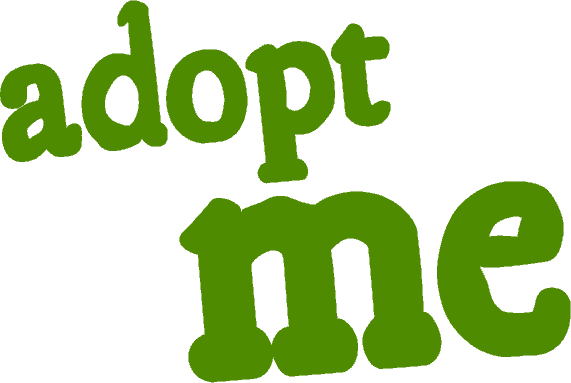 Hi, I'm the newest addition to the baboon family! 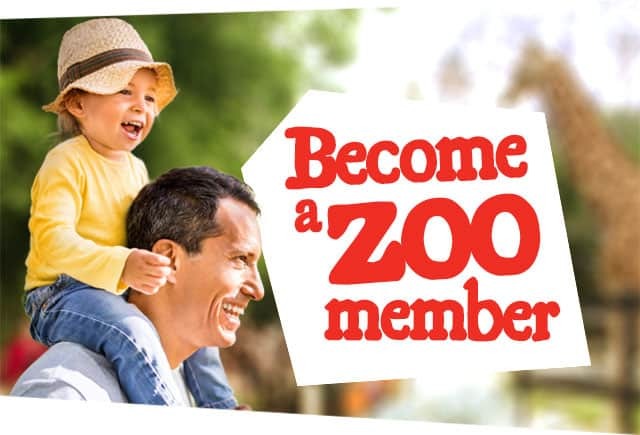 Adelaide Zoo is home to a family group of four Hamadryas Baboons. Resident male Horus was born on 11 April 1999 at Alma Park Zoo and moved to Adelaide in April 2010 after living at Rockhampton Zoo for a period of time. Horus is our dominant male and a strong protector of his family. He dotes over his sons Tomkay and Djibouti and can often be seen lying back enjoying being groomed by the the rest of the troop. He is an impressive male with a gleaming silver cape. 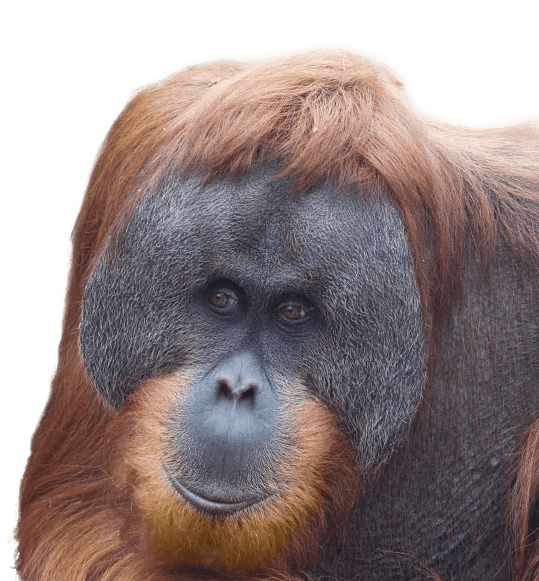 Chappi was born at Adelaide Zoo on 25 March 2003. She’s an incredible mother to her sons Tomkay and Djibouti, and has proven herself to be a very competent and relaxed mum and a wonderful teacher to her growing sons. 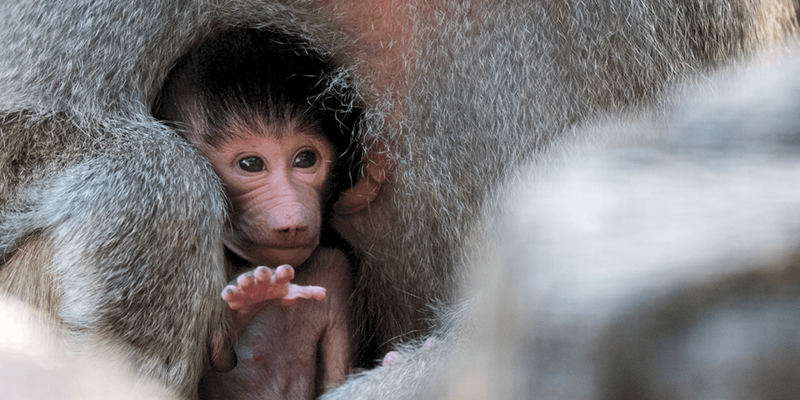 Tomkay was born on 18 December 2014 and like all baboon youngsters, he is very inquisitive and playful, loving nothing more than being the centre of attention. The newest addition to our baboon troop, Djibouti, was born on 27 October, 2016. 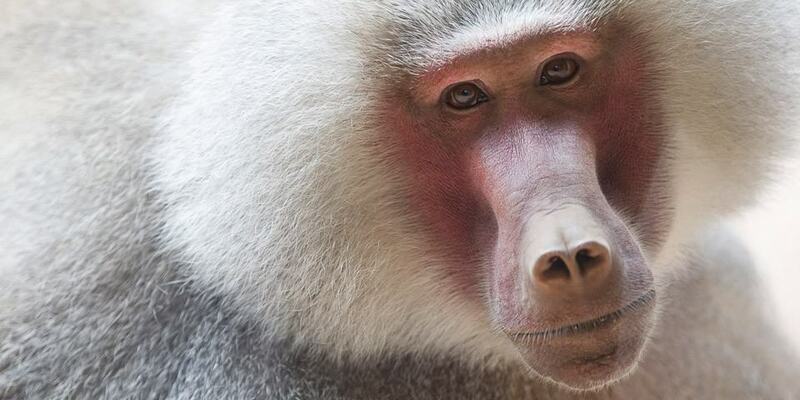 Like his big brother, Djibouti is a cheeky baboon and together the siblings get up to lots of mischief! 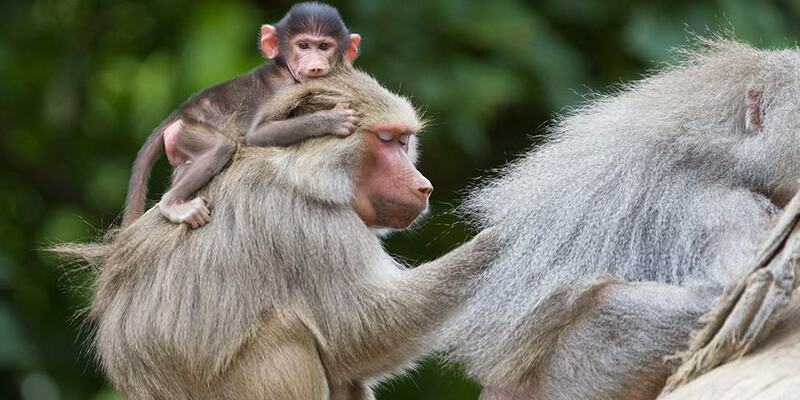 Hamadryas Baboons are primarily found in Ethiopia, but also range into eastern Sudan, Eritrea, Djibouti and northern Somalia. They also occur in the Arabian Peninsula; in Saudi Arabia and Yemen. Within these countries the Hamadryas Baboon numbers are of least concern and while they do not have any major range-wide threats, locally they are under pressure from their habitat being converted into farmland. Hamadryas Baboon males are usually twice as big as the females weighing between 20kg and 30kg while females will be 10kg to 15kg on average. 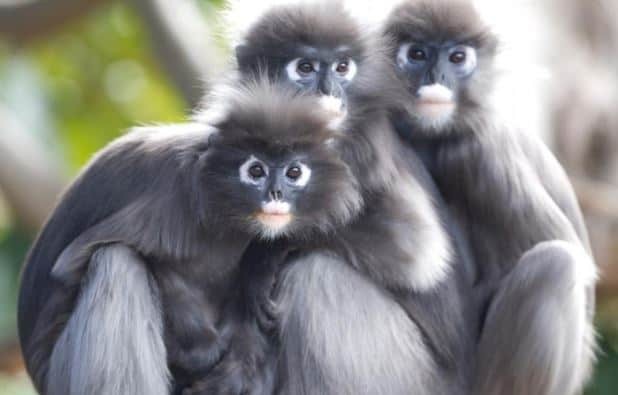 The males are also different in colouring, having beautiful long silver hair which stretches over their shoulders referred to as a ‘cape’. Females are tan to brown in colour, while infants are born with very dark hair which turns lighten as they get older. 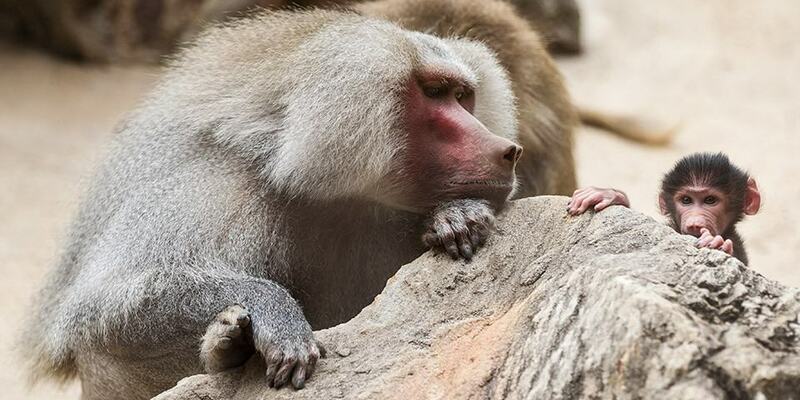 Hamadryas Baboons have a male ruled hierarchy and one male will have several females known as a ‘harem’. Often several harems may coexist and these larger groups are known as a ‘clan’. 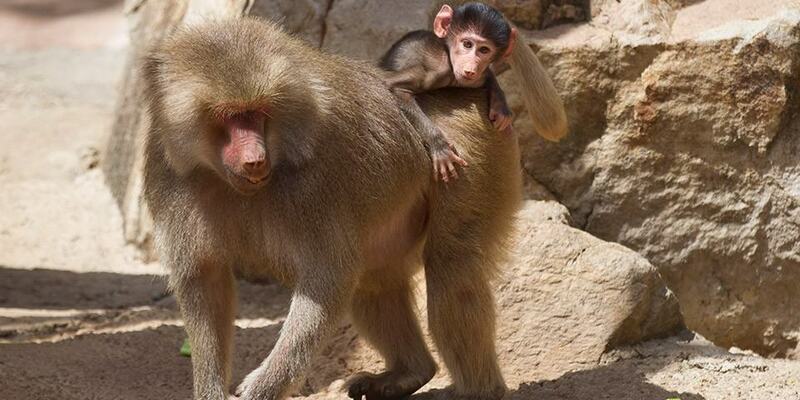 Hamadryas Baboons were considered sacred in Ancient Egypt and the species is sometimes referred to as Sacred Baboons. 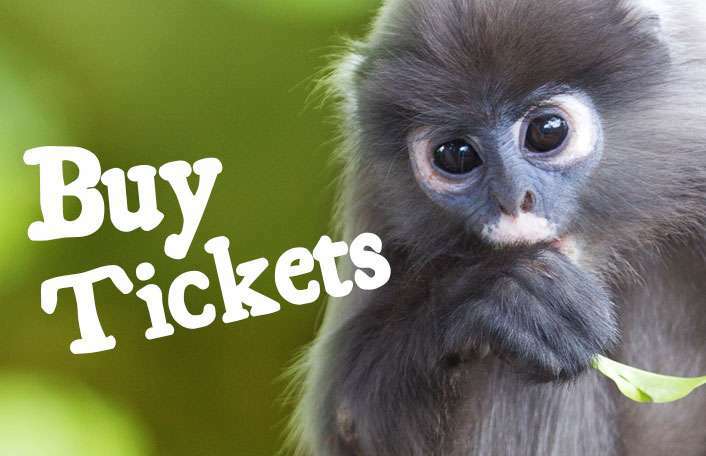 Love Hamadryas Baboons? 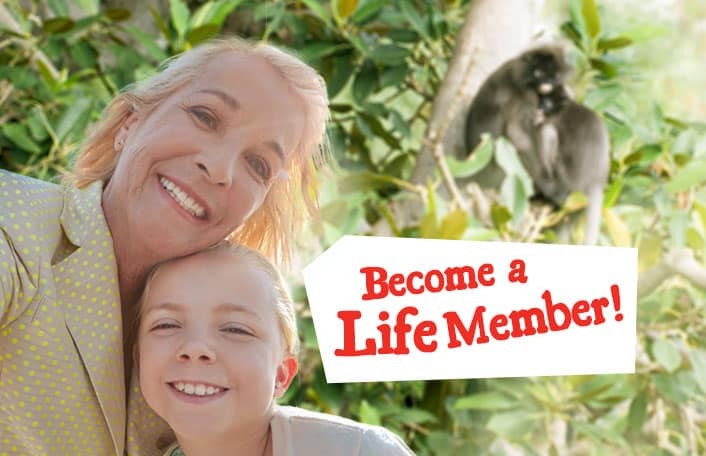 Join our clan and ensure these baboons stay a leap ahead of extinction! 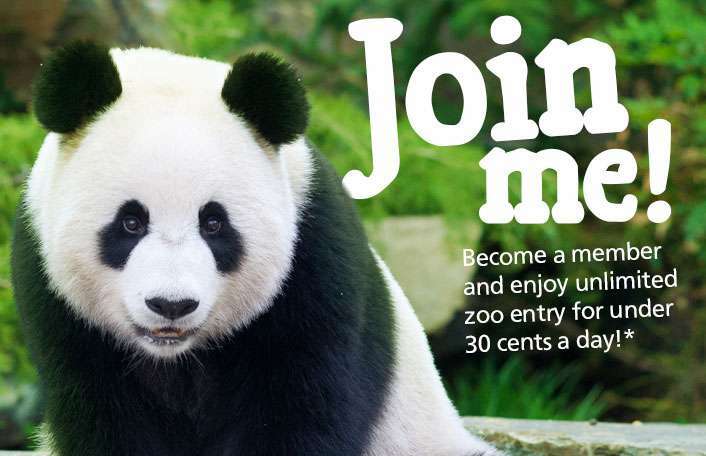 There are many ways you can help support these amazing animals!